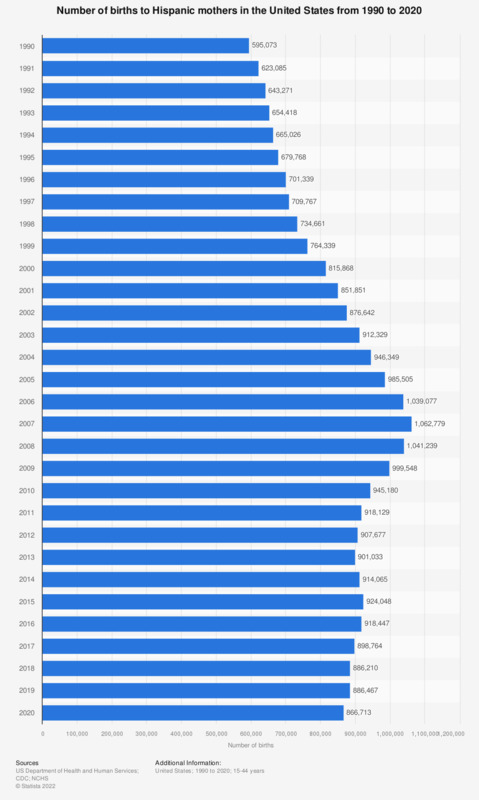 This graph displays the number of births to Hispanic mothers in the United States from 1990 to 2017. In 1990, about 595 thousand babies with a Hispanic mother were born in the United States. Everything On "Hispanics in the U.S. Part II" in One Document: Edited and Divided into Handy Chapters. Including Detailed References. Did you take the following remedies in order to prepare for/support your pregnancy?